Campaigners on Shetland say there are still “hurdles” to overcome before a transmission link to the mainland becomes a reality. And Frank Hay, the chairman of Sustainable Shetland said the project may not happen at all. The project was approved by Scottish ministers in April 2012, but the decision was challenged in the courts by the campaigners. Mr Hay said: “We will be responding to the consultation outlining again our concerns about the Viking project. “Whether or not developing a project like this so far away from consumer demand can represent value for money for consumers has yet to be fully considered. But Viking Energy Shetland head of development, Aaron Priest, said: “We are delighted to see the transmission connection project taking this big step forward. “Shetland is one of the last parts of the country not connected to the GB electricity grid. 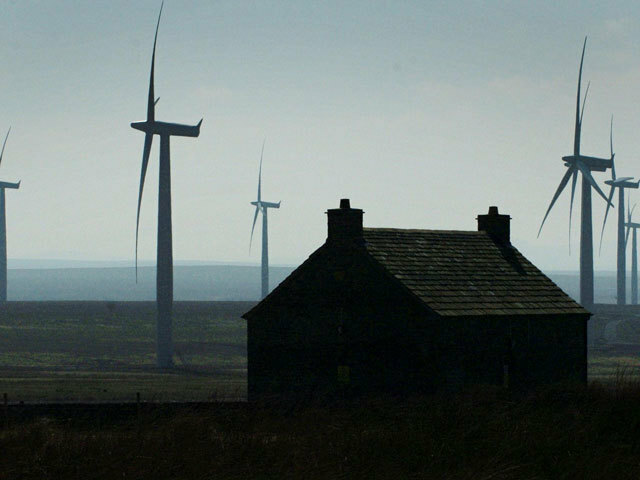 “It is important to rectify this, not only as it will allow Shetland to fully harness renewable energy for the islands and elsewhere, but secure a wealth of long-term socio-economic benefits.